Marie J. Lombardo O'Neil, age 87, passed away on November 24, 2018. Born in New Haven on April 26, 1931, she was the daughter of the late Nicholas R. & Rae Marion (Trotta) Catania. 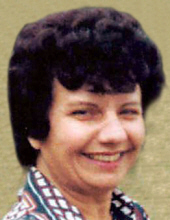 Marie was the widow of Michael L. Lombardo and former wife of Paul O'Neil. She is survived by her daughter Lorna Mangles & her husband Jeffrey of North Haven; her grandchildren, Allison, Eric, & Jason Mangles; a niece, nephew, and 4 grandnieces. Marie was predeceased by her brother Michael Catania. She lived in Cheshire from 1960 until 2015. Marie enjoyed a career in interior decorating, working with local companies, and was a saleswoman at Home Fabric Mills in Cheshire. Marie also always enjoyed her gardening. Marie's family would like to thank the Whitney Rehabilitation Care Center for the special care and compassion she received while in their care. Friends may visit with her family on Wednesday, Nov. 28th from 10:00 AM to 11:00 AM at Beecher & Bennett Funeral Home, 2300 Whitney Ave., Hamden and may also attend her Mass of Christian Burial, to be celebrated Wednesday at 11:30 AM in Our Lady of Mt. Carmel Church, Whitney Ave., Hamden. Burial will follow in St. Lawrence Cemetery, West Haven. Contributions in her memory may be sent to a charity of one's choice. To send flowers or a remembrance gift to the family of Marie J. Lombardo O'Neil, please visit our Tribute Store. "Email Address" would like to share the life celebration of Marie J. Lombardo O'Neil. Click on the "link" to go to share a favorite memory or leave a condolence message for the family.